1. 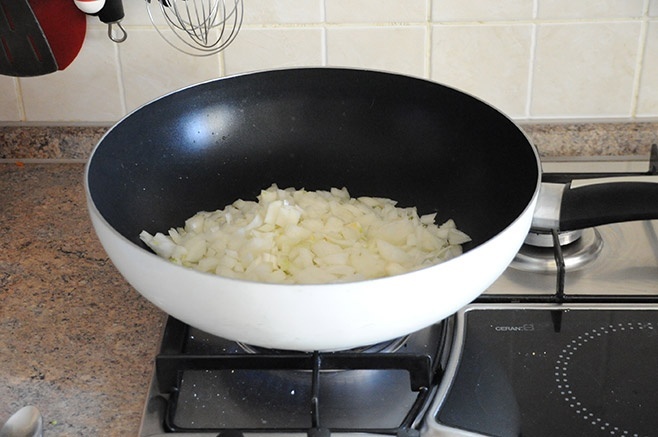 Finely chop onion and put out on olive oil. 2. 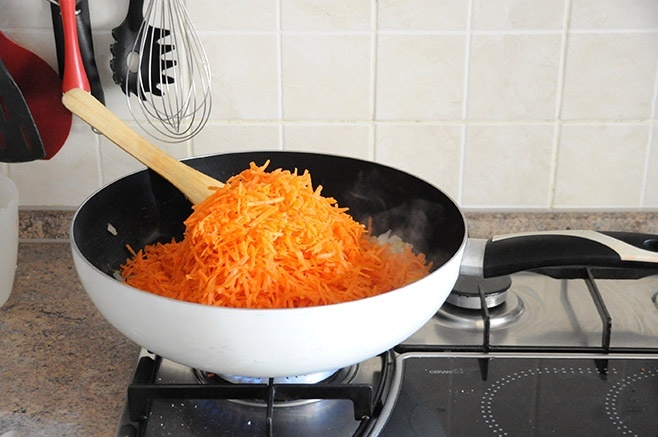 Grate the carrots and add to the onions. Salt, pepper to taste and simmer for another 10 minutes. 3. Pork neck cut into large pieces, the bone is also divided into pieces. 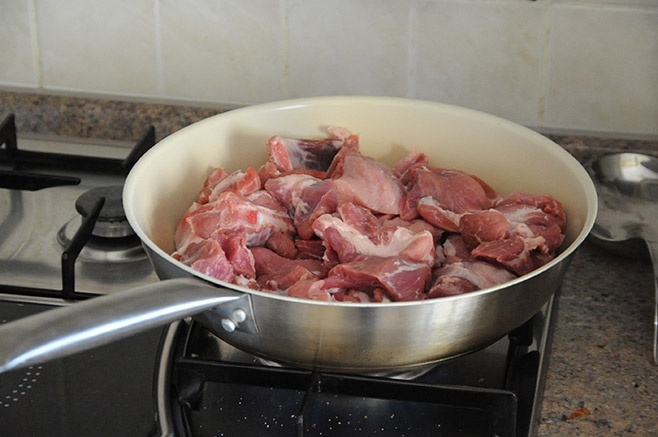 In a frying pan, heat up the olive oil and fry the meat with rosemary, sage and bay leaves for 15 minutes until it is cooked from all sides. Add salt and pepper to taste. 4. Divide the sauerkraut into separate leaves. 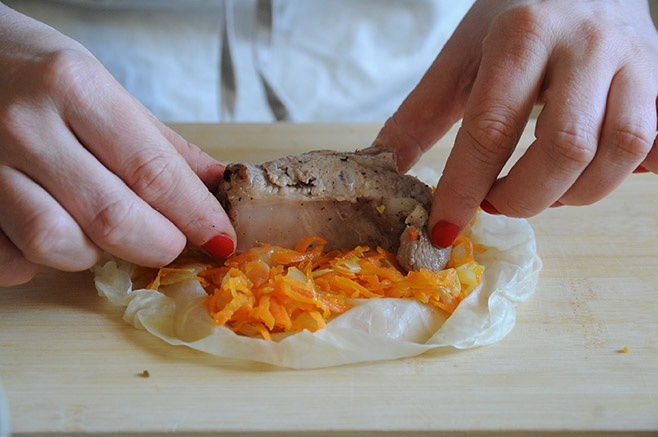 In each sheet, put a thin layer of a little stewed onion with carrots, then put a piece of bone and a few pieces of pork neck. Turn the cabbage leaf so that a bluefin turns out. 5. 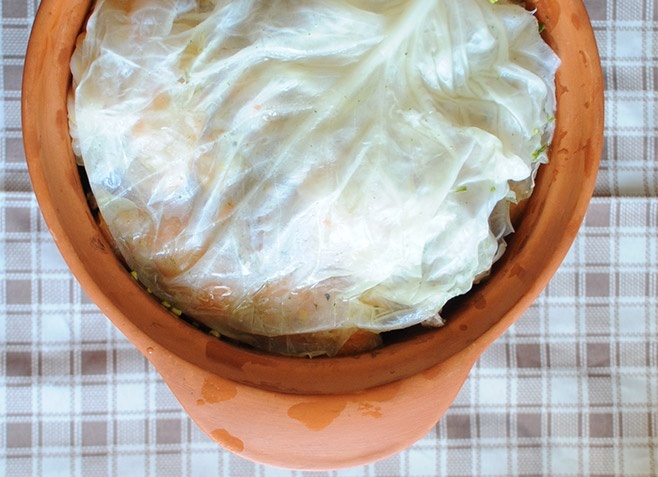 Cover the bottom of the clay pot with a leaf of sauerkraut and lay the resulting cabbage rolls. From above also cover with cabbage leaf. 6. 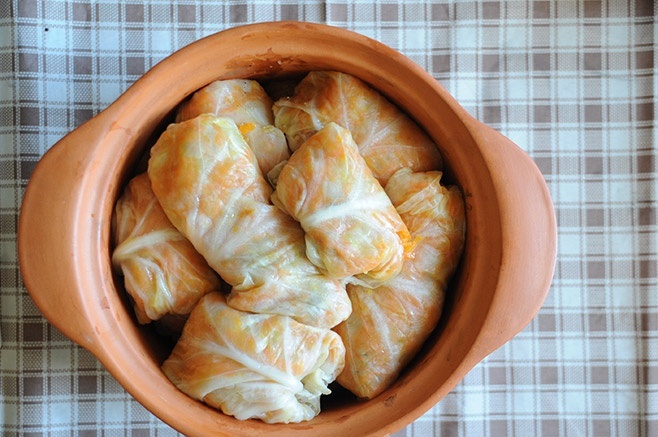 Pour the pot of cabbage with meat broth and send it to the oven heated to 200 ° C for 2 hours.